Property 2: Two-storied house in old Ibiza town. Chill-out terrace with excellent views. Property 5: NA SABINA BOHO HOUSE, Boho style deco Offer May !!! Property 9: Typical Ibiza house close to the beach perfect for couples and families. Property 10: Typical ibizan stone A/C country villa, with swimming pool facing sunset. Property 19: Casa Columnas is atractive villa with a wonderful view to the sea . Property 31: Casita with charm, rural and natural environment "ideal for families"
Property 36: Elegant, vistamar, sunset, 5 min. Walking from the beach Cala Vadela Vadella. Property 37: Countryside, ideal for couples. Property 40: Design Apt, Pool, Marina Botafoch, near Beach, Pacha, Ibiza Old Town, Lio. IBIZA STYLE HOUSE WITH AWESOME SEA VIEWS. Property 45: IBIZA STYLE HOUSE WITH AWESOME SEA VIEWS. 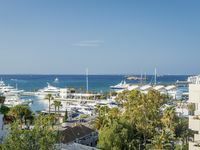 Property 49: Charming Apt, Pool, Marina Botafoch near Beach, Pacha, Ibiza Old Town, Lio. We had the most amazing experience at the House on Ibiza. The Owner's were more than helpful to guide us to the best sites, beaches, shops and restaurants. We had a fantastic time, and the house was cozy, well appointed, and just an amazing feel to the place. Good Vibes..!! I wish we could have stayed longer.... The Best Time.!!!! Beautiful home with absolutely amazing views! We had a great stay at Es Cuco with our family of 5. Our kids enjoyed the pool, the villa had most everything we needed (high chair, baby crib) and the views are spectacular. Great location within an easy drive to supermarkets, stores and some of the most beautiful beaches of the island. The roof top is great for sunset cocktails! Few notes: one of the AC's is not functioning properly (also, you pay extra for having AC), beach towels are extra $ and there are no beach toys or kids toys so bring your own if you're staying with children. We had an amazing stay and will definitely be back!